Below-freezing temperatures and bulky outerwear can make winter a challenging time, sartorially speaking, but come January, the gloves are off—both literally and figuratively—when Hollywood’s jet-set touches down in sunny Los Angeles for award season. Thanks to a blockbuster year in film, music, and television, the 2019 red carpets are an opportunity to make a major statement. Here, we’ve shown an early spotlight on 23 actors and musicians guaranteed to land spots on the 2019 awards season’s best-dressed lists. 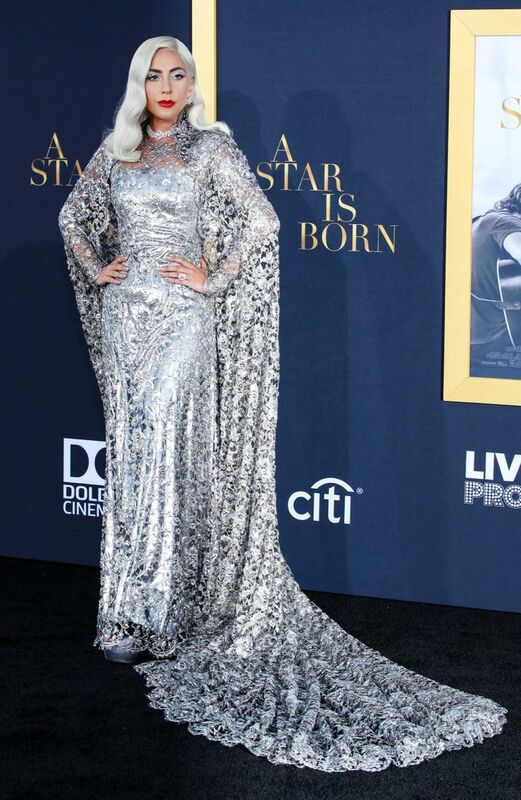 Let’s start with a red carpet renaissance woman: Lady Gaga is going to have an epic award season. We can’t wait to see what she wears to the Golden Globes, the Oscars, and the Grammys when she wins big for basically everything A Star Is Born is nominated for; her style evolution has been a true Hollywood glow-up! A close second and perennial team Who What Wear fave, Emma Stone is bound to inspire your next black-tie event look when she hits the red carpets in 2019. Think she’ll take any notes from her character, Abigail Masham, in The Favorite and go full baroque, or keep it completely contemporary with the latest from Louis Vuitton? Speaking of The Favourite, Joe Alwyn, aka Baron Masham, aka the first earl of Leicester in Mary Queen of Scots, is guaranteed to have a memorable awards season (especially if Taylor Swift is on his arm). The 27-year-old British actor had a banner year with four movies premiering in 2018, and undoubtedly cribbed a few style notes from several of Hollywood’s leading ladies—we have a feeling his star status is about to skyrocket. Of course, award season wouldn’t be a must-watch moment if not for a little healthy competition. Saoirse Ronan and Margot Robbie, two of 2018’s best dressed and co-stars/rivals in Mary Queen of Scots, are absolutely going to slay—sartorially speaking. Spoiler alert: There’s a clear winner in the film (and, um, history), but we’d be absolutely thrilled if the top red carpet ranking featured a tie between these two sensational style stars. While we’re revisiting history, let us remember the ground-breaking, earth-shaking, and red carpet–rousing movie of the year, Black Panther. Boasting an all-star lineup and memorable world premiere in which the cast paid homage to African royalty, we hope this stylish crew—especially Chadwick Boseman, Lupita Nyong’o, Michael B. Jordan, Leticia Wright, Danai Gurira, Daniel Kaluuya, and Angela Bassett—continues its winning streak throughout award season. Wakanda forever! Crazy Rich Asians, one of the most over-the-top and enjoyable fashion films of the year, was a feast for the eyes both on screen and at the red carpet premiere. Constance Wu, the movie’s leading lady, worked with celeb stylist and Who What Wear contributor Micaela Erlanger for the press tour last summer, creating gorgeous looks for a range of appearances. We love how they play with fashion together and can’t wait to see which designer is selected for the Globes in January. Fashion’s latest It boy, Timothée Chalamet, had an incredible 2017 with Oscar-nominated films Lady Bird and Call Me by Your Name, and this year, he added Golden Globe nominee to his list of accolades. Not only does the Beautiful Boy star embrace bold colors and prints, but he’s also reportedly self-styled. We’re impressed! If you haven’t already heard of Kiki Layne, don’t worry—you will soon. Her breakout film, If Beale Street Could Talk, an adaptation of James Baldwin’s 1974 novel by Oscar-winning director Barry Jenkins, has already been nominated for several Golden Globes ahead of its premiere. Kiki has a major year ahead of her with at least two other projects in the can, and we’re excited for her red carpet debut with Regina King, her fellow Beale Street star and Golden Globe nominee. Rounding out our list of film favorites is a newcomer, Elsie Fisher. At just 15, she has captured hearts as the cringe-worthy (in the best way!) ingenue of Bo Burnham’s directorial debut, Eighth Grade, which premiered over the summer. Elsie has already made an impression at smaller red carpet events, and she recently spoke to Vanity Fair about her affinity for suits, remarking, “I feel like suits are very me… I look poppin’ in ’em!” We couldn’t agree more. As far as red carpet style goes, we find musicians tend to be a bit more daring than actors, which is why we’re especially excited for the 2019 Grammys. One woman who never ceases to surprise us with her style chops is Cardi B, who is up for album of the year for Invasion of Privacy. Whether Cardi goes full-on glam, breaks a piece out of Versace’s archives, or debuts her upcoming collab with Fashion Nova, we know she’ll dress to impress—red bottoms, guaranteed. It’s no surprise that with the rise of the rosé wave in pop music came the return of cowboy boots. At the center of this ethereal yet empowering moment is singer Kacey Musgraves. The “Velvet Elvis” singer has already racked up several Country Music Awards but was recently nominated for album of the year for Golden Hour, transcending the confines of her genre, and presenting an opportunity to show off her unique mix of vintage-meets–high-fashion style at next year’s Grammys. We’ve had our eyes on Dua Lipa ever since she explained “New Rules” to us in 2017, and we were thrilled by her two Grammy nominations this year. Up for best new artist and best dance recording, this edgy British singer and street style star will undoubtedly make a major red carpet splash throughout 2019. Is there anything Tessa Thompson can’t do? In addition to her appearance in Janelle Monae’s much-buzzed-about “Pynk” music video, the Creed and Westworld star is a style chameleon who’s bound to thrive during award season—even if she’s just there to support her friends and castmates, the similarly suave Michael B. Jordan and Thandie Newton. Let’s talk about Lili Reinhart for a minute: Not only has she captured hearts as Betty (and Dark Betty!) on Riverdale for the past three seasons, but she’s also become a media darling, sharing insights into acting, acne, and of course, all things Archie. Notably, we love her brand-new campaign photos for the Mighty Company x Ilaria Urbanati celestial-inspired charity collection—hey, if anyone can pull of stars and stripes on a red carpet, it’s Lili. See you at the Emmys? If you haven’t already caught up on Atlanta, consider this an official mandate. You’ll probably recognize Zazie Beetz as Vanessa Keefer, Donald Glover’s character’s ex-girlfriend. Or maybe you remember her from Deadpool 2 as Domino, a mutant whose superpower is luck. Either way, Zazzie is definitely one to watch this red carpet season, especially since she’s being styled by Jason Bolden, whose other clients include Yara Shahidi and Sasha Lane. Be sure to look for her at this year’s Golden Globes supporting Donald, and hopefully again on the Emmys red carpet next fall. Finally, we’ve got the one and only Busy Philipps. Unless you’ve completely opted out of pop culture and social media this year, Philipps has been on your mind—or more accurately, on your phone! A forever fave from early aughts teen dramas Dawson’s Creek and Freaks and Geeks, Philipps has BLOWN UP in 2018 thanks to her hilarious commentary, candor, and colorful style which is broadcast via her Instagram, recently released memoir, This Will Only Hurt a Little, and new E! show, Busy Tonight. Working with stylist Karla Welch (who also counts Tracee Ellis Ross and Sarah Paulson as clients), you know Busy’s bound to bust a move, whether on the red carpet, in her nightgown, or at a tiny trampoline class. Think I missed any potential red carpet style stars of 2019? Hit me up on Twitter or Instagram at @Drewblahblah and we’ll put them on Who What Wear’s radar before the New Year. Up Next: From the Oscars to the Golden Globes, Cannes to the British Fashion Awards here’s where you’ll find the most glorious red carpet looks.